What Is The Definition Of Goal Kick In Soccer? 1. This is a method to resume play in a game after the ball has been kicked over the goal line, but it was not scored a goal, by the opposing team. The ball is usually hit over the net, or over the goal line on either side of the goal. 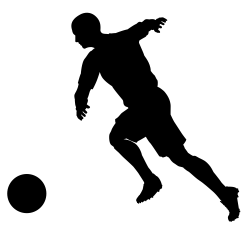 The goalkeeper is the player who usually kicks the ball to resume play, and they either kick it short to a teammate or it is kicked extremely hard to travel a long distance. 1. Beckham takes a shot from the top of the penalty area, only to have the ball sail high over the net. The goalkeeper will take the goal kick from inside the goal area and will most likely kick it past midfield in order to take more time off the clock.